This is F1Minute - Tony Fernandes takes over football team Queens Park Rangers. 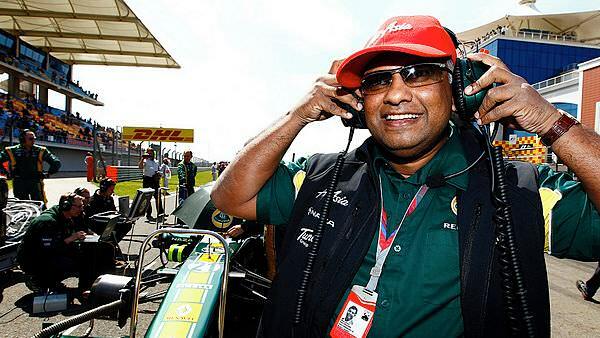 Team Lotus chief Tony Fernandes has completed a deal to take a majority stake in the Queens Park Rangers football club. Fernandes was spotted sitting next to former Renault boss and now former QPR owner Flavio Briatore at the team’s opening Premier League game. Unfortunately, they were trounced by Bolton, 4-0, and Briatore did not stay until the end of the match. It’s perhaps also worth noting that the Fernandes’ owned Tune Group sponsor the Match Officials for the Premier League as well.